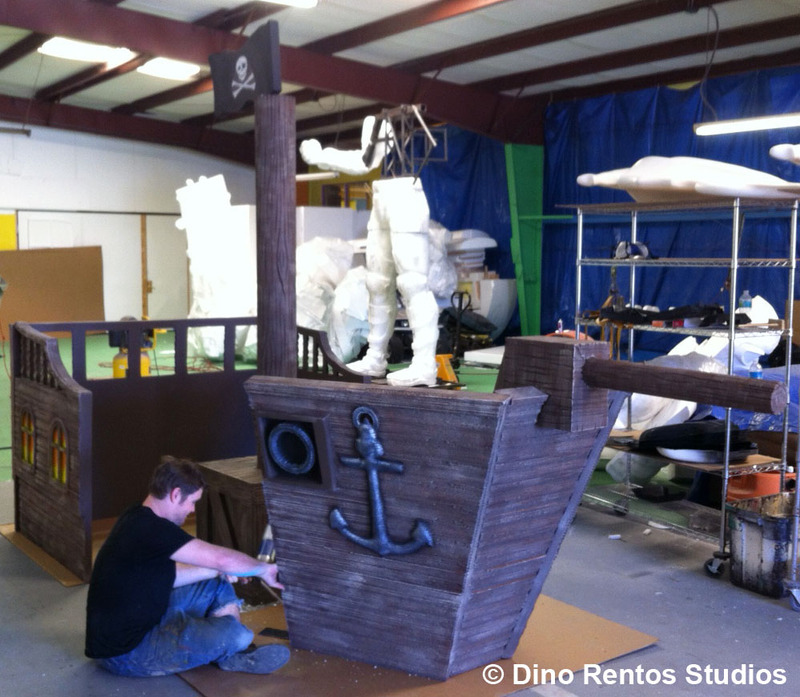 Pirate Party Ship Foam Prop-Set - Dino Rentos Studios, INC. This is the ship for me ! The bow and Stern are seperate so you can make your "Ship" as big or small as you need. 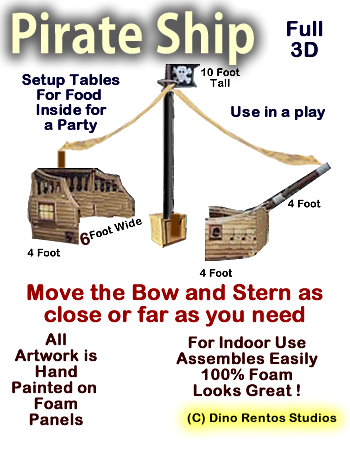 Put tables in the stern and set up your food. Use it on stage for a play. 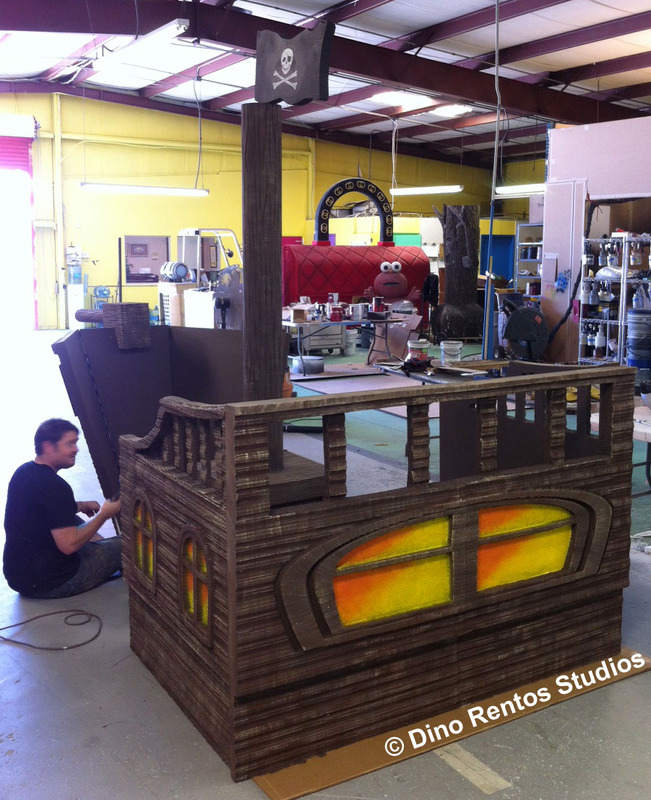 Made of Foam panels that are hand painted to give your ship realism. 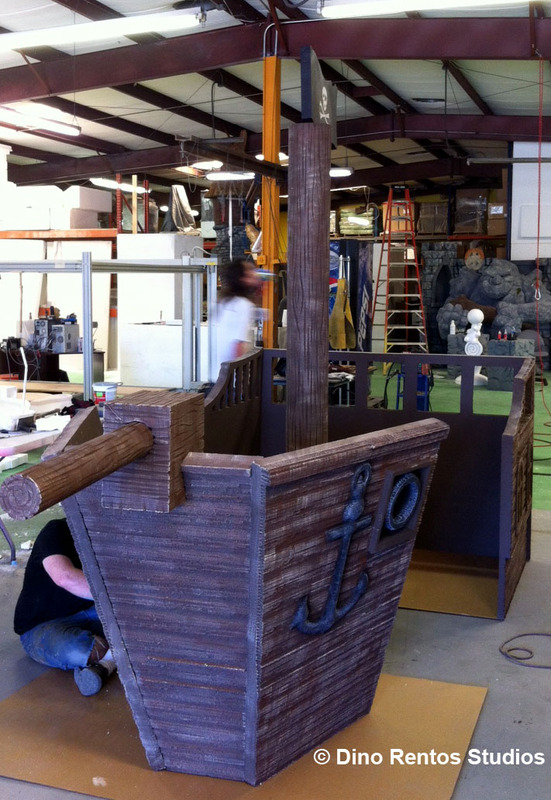 The foam pannels lock together to make your 3D "Walk In" Ship. This will be the center peice of your party or event. Assemble easily and unlike cardboard can come apart to use again another time.